Virtual Transportation | Sharing the information you need to make your business successful & compliant! In the past several months I have taken part in 5 DOT compliance reviews for Passenger Motor carriers and to be more specific Entertainer coaches. However, the inconsistency in not only how the review have taken place but what they require. Let me give you a few examples and you be the judge. 1. Multiple employer – The definition is if a commercial driver drives fro multiple companies in a 7 day period. Now here is the example of what the company had and what was not accepted as being a multiple employer driver. The driver drove on a tour for 9 total days, worked for a different company and went to work for the same company after this 9 day tour. There was a copy of DL, med card, negative results drug screen showing the consortium the driver was in and a copy of the road test and certificate of road test. The checklist was provided from the DOT website. Was this driver a multiple employer driver? 2. MC authority every audit that I have been a part of in the entertainer coaches have been required to have an MC authority except one. Honestly I am not sure how this company does not need to have an operating authority when they do the exact same operation as the ones from TN, OK, WI, and NV but still this company operates as if nothing changed. It is unfortunate because its because of companies that continue to operate not complying to the DOT regulations whether you are private passenger or “for hire” that does not help the passenger industry when the DOT finally catches up. 3. The Compliance review itself – Some have been completely gone through and has taken weeks to complete, where others the review takes hours or a day. Knowing this short time that the auditor is there how can they be clear as to what the company really has in place. I am all for a short compliance review but should it not take a reasonable amount of time for everyone and have the same specifications for all companies no matter what state they are in. Regulations are regulations! 4. Passenger endorsements required for 16+ passenger vehicle – A driver that was currently on a coach the auditor had told the owner that the driver was not qualified to drive because they did not have a passenger endorsement. Unclear now because of what he was told, the driver was taken off the coach and after all was said and done the driver went elsewhere and the the auditor finally found the right information that the driver was not needed to have a passenger endorsement. So after the owner had lost a long term driver because of wrong information there was nothing more that he could do. Now this is just a few examples, however in my opinion the entertainer coaches do not run like the seated coaches such as Greyhound. The operation is different and its not consistent runs and tours can change and the drivers are not hired but considered independent contractors. Such as the oilfield has been set in their own set of regulations, I firmly believe that Limos, Entertainer coaches should be set aside from 16+ passenger carriers based on their operation. DOT reviews need to be consistent, all auditors should be educated properly in the passenger regulations and remove the mentality of the trucking regulations and provide the right information. Improve Your Vehicle Maintenance Today with the Safety Management Cycle! Last month, the Federal Motor Carrier Safety Administration (FMCSA) released a set of documents that detail the Agency’s signature investigative tool: the Safety Management Cycle (SMC). With an SMC tailored to each Behavior Analysis and Safety Improvement Category (BASIC), these resources provide carriers and drivers with a tool to help them evaluate their safety practices and identify and address safety and compliance issues. There are two SMC resources dedicated to the Vehicle Maintenance BASIC: one that focuses on cargo securement and another focusing on inspection, repair, and maintenance. By examining the six Safety Management Processes that make up the SMC—from defining policies and procedures and clarifying roles and responsibilities to taking meaningful action—carriers and drivers can gain a better understanding of the potential gaps in current safety practices and identify ways to improve. For example, who is responsible for informing a manager or mechanic if a safety-related problem is discovered or repairs are necessary before operating a vehicle? And, does the company have a system to ensure this communication happens and vehicles are repaired before being driven? Explore the Vehicle Maintenance SMC resources on the CSA Website’s SMC webpage to make sure you and your company have addressed these and many other important questions to ensure every vehicle is safe before it hits the road. 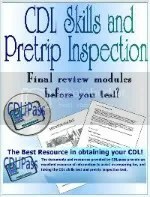 Also make sure you review the safety regulations at http://www.fmcsa.dot.gov/rules-regulations/administration/fmcsr/fmcsrguide.aspx. As I check my messages on a daily basis, I am getting a lot of passenger companies asking if they are required to have driver qualification files as well as drug and alcohol. As pressure is put more on the Passenger Motor carriers it is important to understand not only the federal regulation but state regulation based on your business and operating area. For example if you do not travel more than 100 miles and you have a vehicle less than 16 passengers your regulations may fall at a state level and no interstate operations are applicable. However, if you operate across state lines as a passenger carrier you must have the correct operating authority to operate in interstate commerce. Here are a few resource links that can help you understand a little bit more on operating authory. Did You Know…As a motor carrier, recent Vehicle Miles Travelled (VMT) and Power Unit (PU) data from your Motor Carrier Registration form, known as the MCS-150, are required and must be up to date to properly assess your level of exposure in the Unsafe Driving and Crash Indicator Behavior Analysis and Safety Improvement Categories (BASICs) in FMCSA’s Safety Measurement System (SMS). If your VMT data in FMCSA’s database is from 2010 or older, it will not be used in your calculations when the January SMS snapshot is posted at the beginning of February. Instead, the level of exposure will default to average PUs over the previous 18 months which can impact your percentiles in the Unsafe Driving and Crash Indicator BASICs. View the SMS Methodology for addition details on BASIC percentile calculations. PLEASE NOTE: The SMS website is updated monthly, so your MCS-150 changes will not be reflected on that site until the next monthly update. You can find the schedule of SMS updates at http://ai.fmcsa.dot.gov/sms/InfoCenter/Default.aspx#question30897. MCS-150 updates show up faster on SAFER and the FMCSA Portal websites. You are receiving this email because you opted in at our website: http://csa.fmcsa.dot.gov. To unsubscribe from this e-mail list, please unsubscribe here. In case you are not aware, the CSA has made some very important changes to the SMS site. An effort in making some improvements. Here is one of the documents to help you Identify those changes and make sure you are keeping up with changing regulations. The first part of the document includes this information to give you an understanding of why the changes were made and what the basis of those changes were. Safety Measurement System Changes The Federal Motor Carrier Safety Administration’s (FMCSA) Safety Measurement System (SMS) quantifies the on-road safety performance and compliance history of motor carriers, to prioritize enforcement resources, determine the safety and compliance problems that a motor carrier may exhibit, and track each motor carrier’s safety. FMCSA designed the SMS expecting that changes would be made as new data, and additional analysis became available. This release is the first in a series of expected improvements to the SMS that will take place periodically. July 2012, and subsequently announced a package of SMS enhancements in December 2012. Its been awhile since I have posted something. I rather missed my blogging friends 🙂 and posting stories that really hit home. I have had several clients and even my own father-in-law whom have been discussing of giving up their DOT numbers because of how complex it has and how the regulation changes are affecting them and their companies. With these changes there is not any money to be made. They say the brokers are getting a large portion of the loads that should be to the drivers. It is sad to say that we just have a difficult time trying to find the safety conscious drivers with a clean record to work for these company’s and pay them well enough to keep them. But what about the solo drivers that own their own trucks? They are single owner operators and very small less than 5 truck companies. As I was thinking about this on seeing an all too often pattern lately. I ran across this story. http://www.todaystrucking.com/one-truck-ponies-owner-ops-still-kicking. By now most companies are familiar with what CSA is and how it will affect their company. However, when it comes to commercial drivers they are still unaware of the affects until it is potentially too late. But not all commercial driver information is CSA related. There are several different areas of the DOT and FMCSA in relation to safety. Be sure that you know what applies to you as a driver and the company you work for. Do not leave the responsibility up to someone else. This can be the downfall of some good drivers. Know who you work for, just as they want to know who is working for them. When applying to a company do you as driver pull the DOT number and the safety score of the company you are potentially going to work for? If you do, do you know what you are looking at? What are your risks as a driver? Think about this, you apply to a company and they have a vehicle maintenance percentage on the BASIC score of 96% and a BASIC score of driver fatigue at 83%. What does this potentially do to you as a driver? First, these high thresholds are opening the door for a DOT audit, which always puts even the best of companies in a tail spin. Second, more frequent roadside stops opening up doors for violations on your own safety score as well as the company. A company is as good as its drivers and the drivers are only as good as their equipment. If you as a driver are not driving equipment that is properly maintained and may not be safe, you are setting yourself up. Eliminate the risk of your job and your life. Know what to do, and how to protect yourself in all cases. Here is some information that can potentially save you and your safety score as a driver. 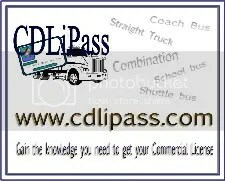 Know where to get your information as a commercial driver. What CSA means for Commercial Drivers! •ALL violations found during roadside inspections count toward carrier and driver safety measurement according to vehicle or driver violation type. What can driver do now? The Federal Motor Carrier Safety Administration (FMCSA) has enhanced the Safety Measurement System (SMS) Methodology so that it includes violations based on new cell phone use regulations and provides more detailed breakouts of some existing brake, wheel, and coupling regulations. In February, when the January snapshot is released, motor carriers may notice the following two changes. 1. The addition of four texting and cell phone use violations in the Unsafe Driving Behavior Analysis and Safety Improvement Category (BASIC) as outlined below. The violations reflect FMCSA’s decision on January 3, 2012 to ban commercial drivers from using mobile telephones while driving, which includes a ban on texting. Motor carriers should discuss the new violations with their drivers to ensure that they are aware of these requirements. 2. The addition of 22 Vehicle Maintenance BASIC violations that provide further breakouts of existing brake, wheel, and coupling regulations. This improvement will help to clarify who the responsible party is for the violations, either the motor carrier or the Intermodal Equipment Provider. FMCSA is revising Appendix A of the SMS Methodology document to take these changes into account. The agency will re-post the document to the Compliance, Safety, Accountability (CSA) Website at the same time the January SMS snapshot is released. Stay tuned by subscribing to the CSA Outreach Website at http://csa.fmcsa.dot.gov/stay_connected.aspx. Recently the HOS regulations changed for over-the-road household carriers, but how much information is truly understood by those drivers who are a passenger carrier? I have not seen most roadside inspectors have not yet baulked at the way the passenger carrier drivers keep their HOS in regards to the 34 restart. But with the pressure on passenger carriers who knows just when that will change. One of my clients is a passenger carrier in the entertainment coach business and after speaking to their drivers concerning their log audits, it was brought to my attention that they did not realize that passenger carrier drivers do not have the restart and log under the old HOS. When you look at information concerning the HOS it is hard to understand for the typical layman just how these HOS rules affect each driver depending on the work they do and the operation of their company.. Remember, a passenger carrier driver needs a full 8 days off to recoup the full hours-of-service. Keep track of what your drivers or yourself does in an 8 day period. Did you realize that depending on what you operation is, determines the HOS rules you fall under. Keep certain criteria in mind as a driver and don’t short yourself in an audit when it comes to the hours-of-service section. Do you run interstate or intrastate? Do you run within a 150 mile radius? Are you a household carrier? Do you know the current hours-of-service regulations based on your operation? If you need assistance or information concerning your HOS visit www.thetruckingva.com today!